By VORTEXICA - Also lizards? KoopaTV recently covered the game Glorious Leader! from Moneyhorse LLC, a Contra clone featuring the eponymous "Glorious Leader" of North Korea, Kim Jong-un. See those articles for more information. Anyway, the asininity surrounding North Korea and derivative works based thereon continues with news that last month Sony Pictures' computer systems were hacked and a number of unreleased films leaked online in a cyber-attack that took down Sony's computer network for almost a whole week, as well revealing the personal info of thousands of Sony employees. All this kerfuffle was brought on in retaliation for the then-upcoming Sony Pictures comedy film The Interview, starring James Franco and Seth Rogen as journalists hired by the CIA to assassinate Kim Jong-un. It of course goes without saying that The Interview itself is not known to have been leaked. A shame really. That would've been the icing of irony on the layer cake of hilarity. In the par-for-the-course display of bombastic rhetoric we've come to expect from North Korea, the regime has denied any direct involvement in the "righteous deed", as they call it, despite threatening a "merciless counter-measure" when they first heard of the film. One North Korean diplomat, when asked if there was any involvement from the North Korean government when the story of the hack on Sony first broke simply said "wait and see". Wow. North Korea also suggested that their "great number of supporters and sympathisers" from "all over the world" may have carried out the hacking. Being the "Billy-no-mates" of the so-called international community, even China these days is rolling its eyes at their North Korean comrades, and the continual food and monetary aid they provide combined with North Korea's bluster and sabre-rattling increasingly lead only to embarrassment by association for China. A group calling itself "Guardians of Peace" (which is exactly the kind of pretentious, ironic terminology you usually find associated with North Korean dogma) claimed responsibility for the cyber-attack whilst issuing unnamed demands. This week it subsequently transpired that cinema chains across the US announced they would no longer be screening The Interview, based on threats from these hackers that they would meet a "bitter fate", and even having the temerity to evoke the September 11th attacks whilst claiming "the world will be full of fear". In light of this, Sony Pictures in turn announced their decision to cancel the release of The Interview in the US (and presumably the rest of the world). Anonymous sources in the FBI have been quoted in US media as saying they had traced the cyber-attack to North Korea. Whether this was meant figuratively or literally is not known. Tragic. In a week where a shift in US policy brought 54 years of embargo with Cuba to an end, cinemas across the supposed Land of the Free caved under beyond-baseless threats from a jumped-up, tinpot dictatorship, and thereby allowed it to punch far above its weight. You mightn't think it, but North Korea indeed has programmes and facilities in place to train a veritable army of (albeit brainwashed) bright young minds in computer wizardry and techno-sorcery for hacking purposes, which it has already utilised for its previous cyber-attacks on South Korean digital infrastructure. You can even buy smartphones in North Korea! Their 3G network is run by joint Egyptian-North Korea venture Koryolink, the Egyptian side of which publishes figures that indicate North Korea has about two million smartphone users, a figure equating to one in twelve people. There's no true Internet access for these subscribers though, only the internal North Korean intranet network called the "Kwangmyong". But all this is really just a fascia to give the impression of technological freedom when in reality most consumer gadgets available in North Korea are either design rip-offs, inferior knock-offs, or loaded with spyware. It makes me sad to think North Korean citizens are given the illusion of possessing the sort of advanced personal gadgetry we're used to in the West, when many don't have access to basic amenities like adequate food, a functioning currency, and Hearthstone a reliable electricity supply. 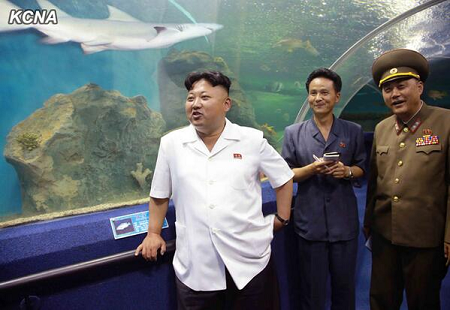 Now, in contrast to the aforementioned game Glorious Leader! — allegedly still in the works from nebulous developer Moneyhorse (Because calling it Moolahhorse would've been insensitive) — The Interview clearly isn't something North Korea finds flattering, even if by reasonable standards the subject isn't all that offensive when taken in the context of a comedy. If some hostile foreign power made a joke out of trying to kill your country's beloved leader, wouldn't you be a trifle miffed? Well, I imagine Ludwig would find it hysterical in Barack Obama's case, but that's besides the point. Regardless, whereas theories point to Glorious Leader! being in development to present its star in a positive light with the presumed consent of North Korea — if not being directly bankrolled by them itself — The Interview has been decried by our friendly neighbourhood Juche-ists as "an act of terrorism and war". Frankly, I wouldn't be surprised if they labelled blowing raspberries at them an act of terrorism, though that's not to say the word "terrorism" hasn't seen frequent and laughable over-use in the West. That's a topic for another time though, and North Korea's usage puts even that level of wanton bandying-about to shame. ...Well at any rate, we can always hold out for the film eventually seeing the light of day on DVD without incident, presumably since no one in North Korea would know what a DVD actually is. One safe bet I can make is it'll be the best movie to feature one of the Kim clan since Team America: World Police. Let's at least hope Franco and Rogen managed to get the family name right or they could pull a Hans Blix and wind up in "Mr. Jong-un"'s shark tank. In related news, as if it wasn't already a PR shambles for technology monolith Sony's digital security network, another group of hackers took down the PlayStation store on December the 8th, mere days after the PlayStation brand celebrated its 20th anniversary, embarrassingly enough. Attempting to visit the store resulted in a message proclaiming "Page Not Found! It's not you. It's the Internet's fault". As it turns out, it was actually Lizard Squad's fault. The clandestine group, also known as "Lizard Patrol" on Twitter, is reportedly based in Russia judging from the ".ru" domain name of the site posted on their Twitter page (before being changed to ".com"). The reptilian Russian rascals have also claimed responsibility for DDOS attacks on other high-profile gaming targets in the past such as Bungie's pseudo-MMO FPS Destiny, EA (no sympathy there then), Machinima, and Microsoft's Xbox network, the latter of which Lizard Squad described as a "Christmas present" and "a small dose" of the cheer they would be spreading this holiday season. They're clearly classy lizards though, I'll say that much for them. 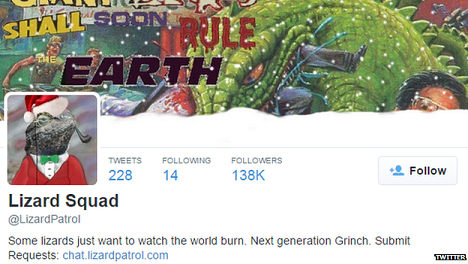 Going by this image of the group's Twitter page, whereon they describe themselves as "next generation Grinch", Lizard Squad's MO seems to be to say a big fat "Humbug!" to online gaming services this year. Now for some wild mass guessing. 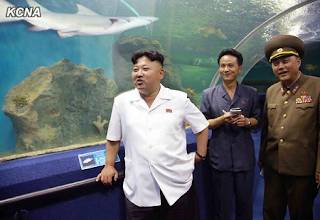 Is it credible that Lizard Squad could have been in the employ of North Korea? The above image indicates the group is open to requests, clearly displaying the mercenary nature of the outfit. What better way to attack the monument to Western free capitalism and materialistic waste culture that is the Christmas season than to enlist cold-blooded, holiday-hating, Russian cyber-criminals? North Korea has historically had cordial relations with Russia (and its USSR predecessor), so connections may certainly exist there. It wouldn't surprise me with North Korea's displayed disrespect for video games in the past, such as blatantly cloning popular mobile games like Angry Birds which have then been loaded with malware and distributed to thousands of South Koreans in an effort to monitor the population. At any rate, whether you believe North Korea is really behind any of this or not, there's no denying they've been milking the allegations for all the publicity it's worth, in their typical exacerbate-the-situation-by-deliberately-issuing-disinformation-that-neither-confirms-nor-denies-the-accusations sort of way (see the dumbfounding "wait and see" comment mentioned above). Though what can you really expect from a country where the propaganda radios in people's homes have no off switch. Not to mention that officially their "eternal" President (Kim Il-sung) has been dead since 1994, yet "incumbent" since 1998! No matter how much Ludwig rails against Obama, I think even he would have to agree that Kim Il-sung is a strong contender for the title of world's worst president. I mean, he does literally NOTHING! Not even breathe! We're clearly not dealing with rational people here. But maybe this particular supposition is unfounded. And maybe North Korea had no direct hand at all in either of these cyber-attacks. And maybe we can ask Zimbabwe despot Robert Mugabe to hand over his private stash of missing 1960s Doctor Who episodes. During the downtime of the PS store, Sony Entertainment Network tweeted "Thanks for your patience as we investigate". Yeah, well, this consumer's patience is wearing a bit thin here, Sony. If you can't protect your own data from being leaked, why should I trust you with mine? Still, I can't help but pine for the days when you simply bought a console, then bought software for it, and that was as far as the relationship went. Nowadays you have accounts with credit cards and gamertags and what-have-you storing your personal data on servers operated by large companies like Sony and Microsoft that you'd think would be able to keep it all under lock and key, but if their track records in recent years for DDOS and hacking says anything, they need to get their acts together. Sharpish. ...Or maybe I'm just entering that phase of ranting about anything new I don't understand that all old, old people like myself eventually reach. ...And on the off-chance that anyone from Lizard Squad/Patrol should be reading this, allow me to say that I, for one, welcome our new lizard overlords. May their tails grow long and squamous until we are all consumed in the flames of our exploding sun. Vortexica believes in standing up to North Korean nonsense, but it's a complicated matter. Maybe he'll write a follow-up on Sony's decision to cancel The Interview in more detail at some point. Or not, we'll see. For now, he wishes you all a happy, hack-free holiday season! Lizard Squad strikes again, taking down both PlayStation Network (again) and Xbox Live. KoopaTV has finished its coverage of Glorious Leader!, since the game's Kickstarter got canceled. A key Lizard Squad member was convicted... though lightly. And not in Russia.